On The Amazing Race this week, the remaining teams travel to Colombo, Sri Lanka for the next stage of the race, so that’s where I’m going for today’s featured track. It’s found at Sugathadasa Stadium, and even though it’s hard to tell in the Google photo, this is a great looking facility. 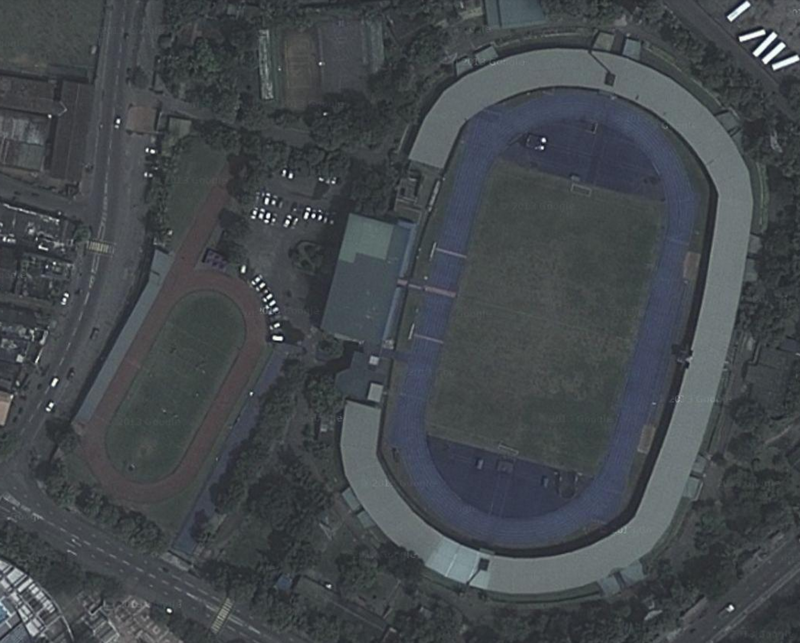 I’m not 100% sure, but it sounds like this may be the only synthetic track in Sri Lanka. It was built in the 1980’s, and has hosted several major competitions over the years. 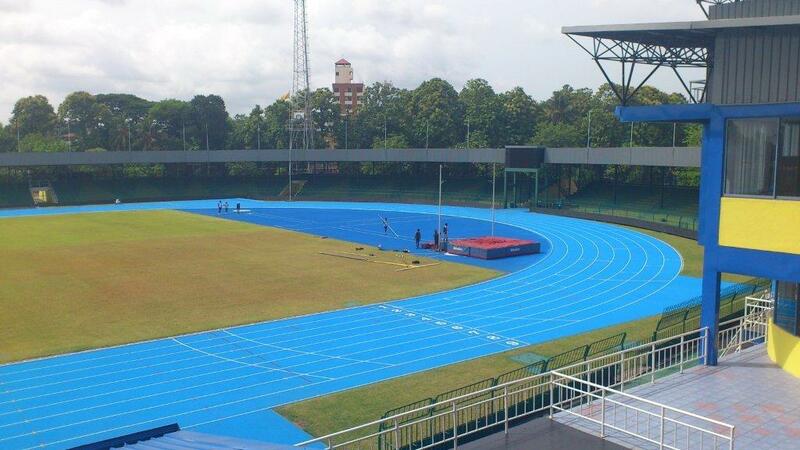 A brand new blue track surface was installed in 2012, in time for the Asian Championships. The seating capacity of the stadium is listed at 25,000. They also have a second “mini” track just outside to the west. A photo gallery of the track can be viewed HERE. And check out the quick video below. It looks great!